The U.S. Virgin Islands offer visitors the most memorable vacations imaginable and guests who stay on St John want to return again and again. 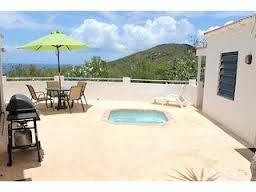 Overlooking the ocean from Sunset Ridge in St John is the fabulous Sunset Ridge Villas, a small, privately-owned timeshare resort complex. Vacationers interested in one of these St John timeshares for sale can purchase a week or more at their villa each year and experience this pristine tropical destination. There's so much to see and do on this famous island, and the breathtaking scenery, combined with a feeling of remoteness, makes this destination a personal paradise. Perfect for couples as well as families, the resort offers outstanding guest villas complete with all the furnishings. Each of the two-bedroom timeshare villas at Sunset Ridge Villas is two-story design, and each has a huge private courtyard, embracing the island feel. The first floor contains the courtyard itself plus the Great Room, a living area complete with full kitchen and bath, and on the other side of the courtyard is the master bedroom with private bath. Upstairs is the second bedroom with its own private bath. 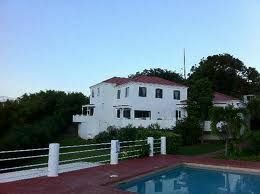 Each unit has a huge outdoor terrace running the full length of one side of the villa. Amenities include a fold-out couch, complete dining furnishings, kitchen appliances and food preparation equipment, a washer and dryer combo, TV and DVD player, and an outdoor barbeque grille in the courtyard. 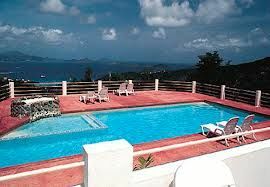 The Sunset Ridge Villas has a large outdoor pool, beautifully landscaped grounds, and plenty of overlook areas that allow for spectacular views of St John. Beach towels, coolers, and deck chairs are available at no cost. The nearby attractions include the St John National Park, Cruz Bay, Trunk Bay and lots of entertainment venues in the town. 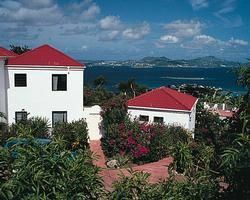 The best scenery in the Virgin Islands makes this vacation destination a favorite for photographers. Swimming, scuba diving, and sailboarding are popular water activities. All this and more await those who rent or buy these St John timeshares for sale, all at a discounted price through the resale market. Contact Sunset Ridge Villas Specialist Today!